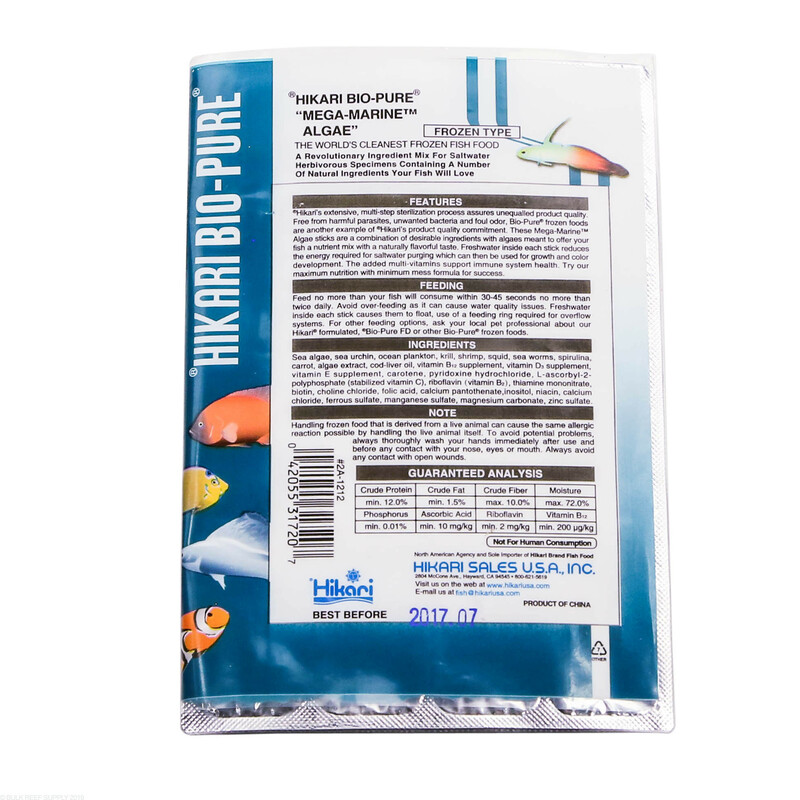 Revolutionary Formulation Food For All Algae Eating Marine Fish. 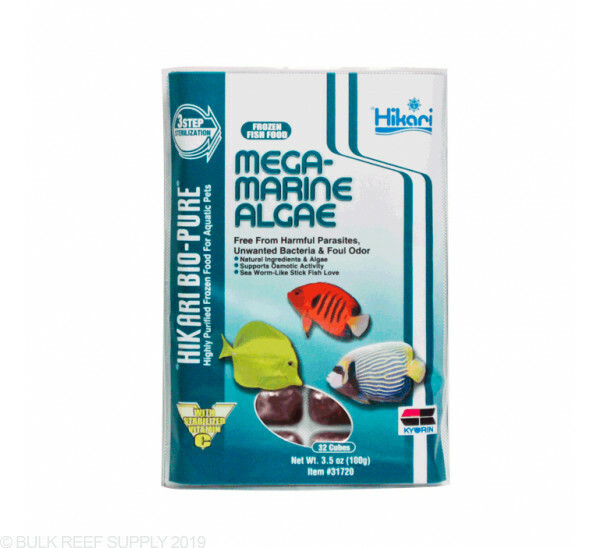 Hikari has developed Mega Marine Algae to provide a balanced, highly nutritious diet for those that thrive off a wide range of meats and algae type foods like tangs, rabbitfish, blennies, and many more. Also available is Mega Marine (original formula), and Mega Marine Angel. 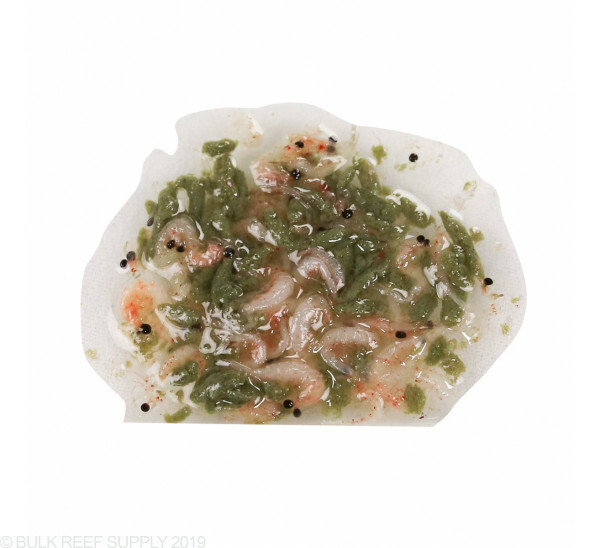 Specific types of algae can provide high amounts of omega fatty acids and proteins that fish and invertebrates will naturally consume in the wild. 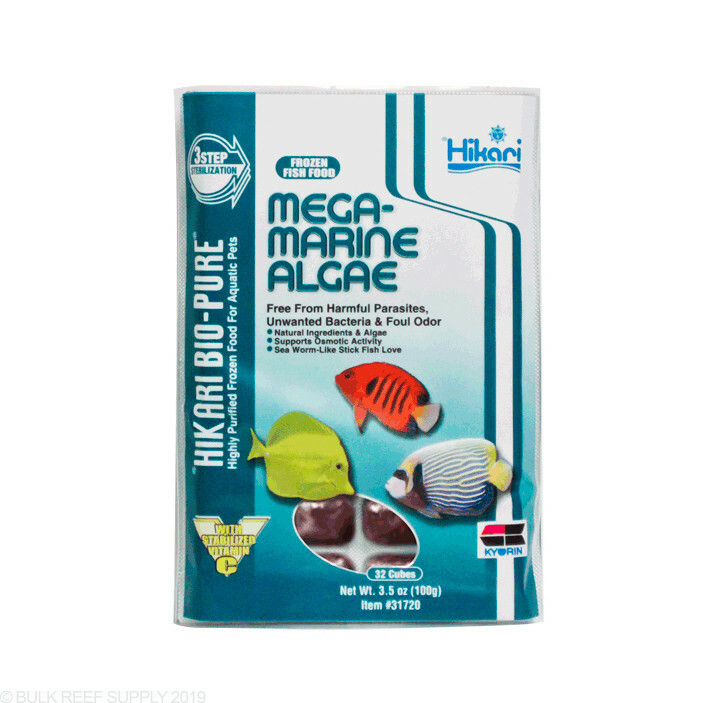 Hikari and scientifically created a blend to incorporate the benefits of algae along with their already famous Mega Marine frozen food. 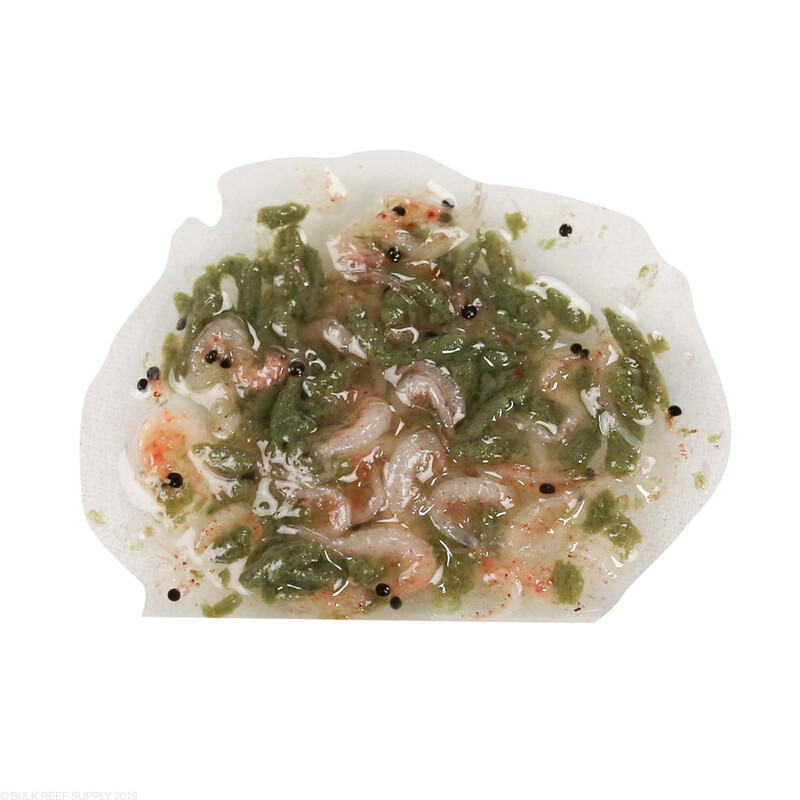 Focusing specifically on coloration and growth it is hard to find a better all around food. 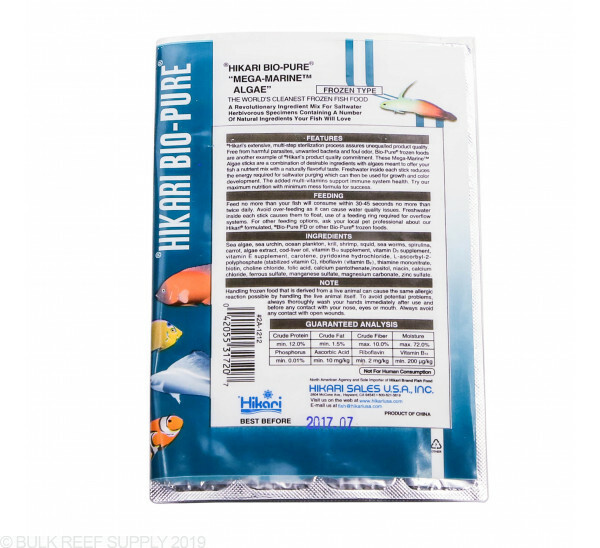 Mega Marine Algae Ingredients: Sea algae, sea urchin, plankton, krill, shrimp, squid, sea worms, spirulina, carrot, algae extract, cod liver oil, Vitamin B12, Vitamin D3, Vitamin E supplements, beta carotene, pyridoxine hydrochloride, l-ascorbyl-2-polyphosphate, riboflavin, thiamine mononitrate, biotin, choline chloride, folic acid, pantothenic acid, inositol, niacin, calcium chloride, ferrous sulfate, manganese sulfate, magnesium carbonate, zinc sulfate.